The Strategic Mission Vision Oversight Team reports the following progress for June. “We Are Church” Working Group rolled out a video at Synod Assembly introducing theme and are inviting congregations to collaborate for God’s Work, Our Hands, Sept. 11, 2016. They are also writing 2017 Lenten curriculum. 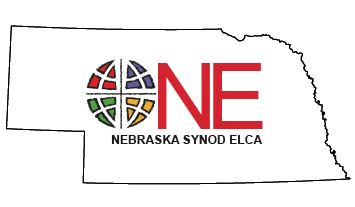 The Nebraska Synod Ministry Assessment Team is currently being recruited to assess the ministries of the Synod. “We Are Lutheran” Working Group is beginning to form and will begin plans for 2017 assembly and 2018 Lenten curriculum. The Reformation 500 Team shared about the kickoff to the commemoration with Dr. Timothy Wengert. Quick Checks with congregations have been completed and Transformational Church training has happened with more than 20 leaders. Intentional conversations goal is moved to Fall of 2016. New Deans description is written and will go to Deans Gathering in the fall. Two new staff positions of Director of Development (Ted Asay) and Director of Stewardship (Timothy Siburg) have been filled. Support staff position has also been filled by Michele Herrick. Revs. Richard and Rebecca Sheridan are now serving as Synod Evangelists. Young Adult Working Group is laying the groundwork for conducting listening/interviews to help identify the “spiritual needs, concerns, and giftedness” of young adults. Seniors Working Group is in the midst of recruiting and has been moved up in the time line so that they may have conversation with Young Adult group and for 2017 multigenerational mission trip.